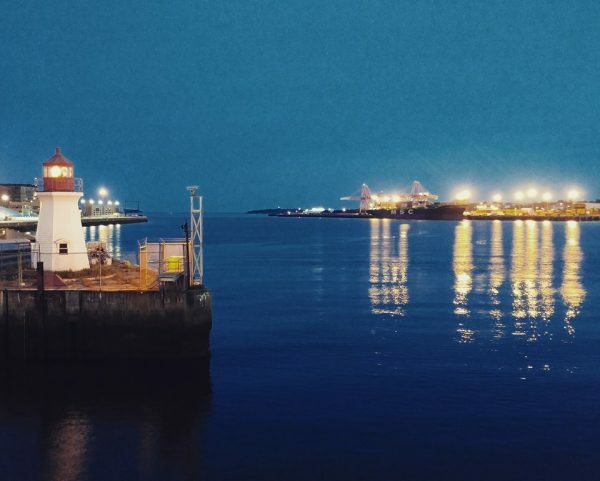 SAINT JOHN, NEW BRUNSWICK — Saint John, more than anything else, is an industrial port city. It is a city that faces challenges, but it is also a place of great potential and opportunity that has a lot to offer to tourists and potential residents. And it is also an underappreciated and often derided city because of decades of population decline (until the 2011 census). I do not want to engage in uncritical civic boosterism, so I must be honest about the challenges a place faces. One of the most significant challenges is poverty. According to a 2014 study based on Statistics Canada After-Tax Low-Income Measure data, Saint John is tied with Toronto for the highest child poverty rates in the country. Randy Hatfield, of the Saint John Human Development Council, highlighted these challenges in a recent CBC Information Morning interview, where he raised the issues of high rates of teen pregnancy in the city. Other challenges facing Saint John are finding a property tax system where revenues can be fairly and adequately raised, regional governance of a fragmented metropolitan region (this was the focus of my PhD dissertation research and I gave a presentation on this to Saint John city council on invitation of then-mayor Mel Norton and council). Saint John also faces the challenge of dilapidated buildings. However, being honest about these challenges, and realizing that any civic and public policy strategy must include the poor and vulnerable, it is important to highlight that this city has much to offer that goes underappreciated. There is an amazing civic spirit and sense of community in the city, comedian James Mullinger filled a stadium for one of his recent shows, out-selling Jerry Seinfeld for largest audience for a comedian (an amazing feat given that Greater Saint John is a relatively small city region). The Uptown city centre offers a dense and vibrant urban core, there is a beautiful waterfront that combines recreational and working/industrial activities, and the city has a rich architectural heritage as well as a rich arts and cultural scene. The photo essay below is based on photos I’ve posted on my Instagram account. Saint John has a waterfront that includes port and industrial activities, one can see smokestacks and ships being loaded. It is a working waterfront. However, it is also a waterfront that offers a vibrant recreational, arts, and cultural life, in particular the Boardwalk which features street performers and concerts, with people enjoying the entertainment from restaurant patios or crowding around performers. It features local talent and talent from away. The cruise ships which dock at Saint John add to this waterfront life. The city features art galleries and studios including TUCK Studio interior designers and Buckland-Merrifield Gallery. 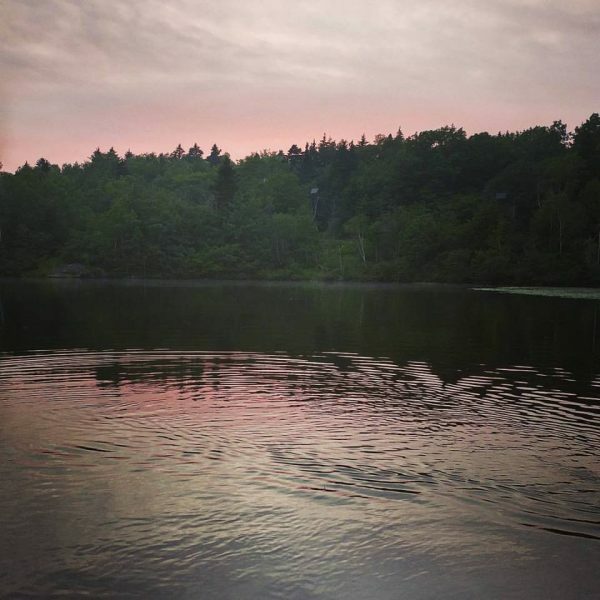 Rockwood Park, close to the urban core, is among the larger municipal parks in Canada and contains many scenic natural sights including Lilly Lake. King’s Square offers a great gathering point for the city’s Uptown city centre where, on a nice day, one can see many people relaxing and enjoying the sights. Saint John’s buildings, especially in the urban centre, offer rich and intricate architectural detail, featuring an array of styles from the 19th and early 20th centuries. These buildings make for a great experience walking through neighbourhoods in the urban core. 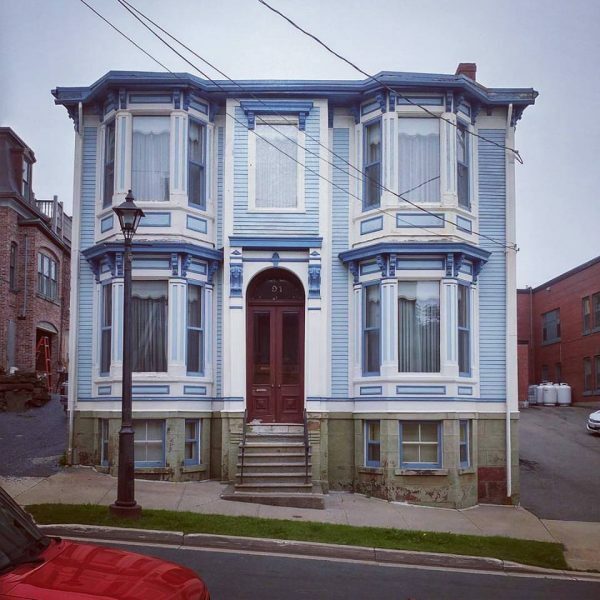 I want to thank Saint John architects Bob Boyce and Morgan Lanigan, as well as Saint John writer Julia Wright, who helped me learned about some of these architectural styles as well as the histories behind some of these buildings. More than anything, the photos tell the story of these striking buildings better than any written description can (though being there in person is even better). 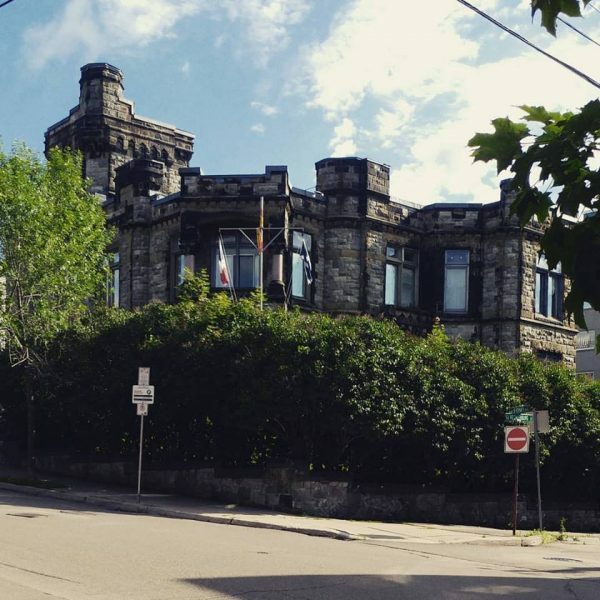 Caverhill Hall (pictured above) is a distinct castle-like building on Sydney Street. It was built in 1884 as a private residence and represents a distinct Victorian-era style. In later decades the building served as a bar/nightclub. 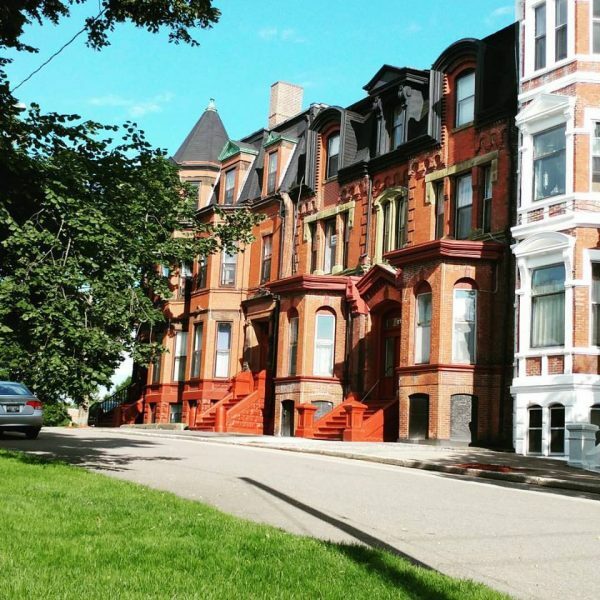 There are many brick buildings in Saint John that feature intricate architectural detail, seen in the photos below. This blue house on Orange Street (photo below) looks like it could be in San Francisco. It features a style known as “bracketed Italianate” referring to the trim around the doors and windows and the “brackets” supporting the roof. 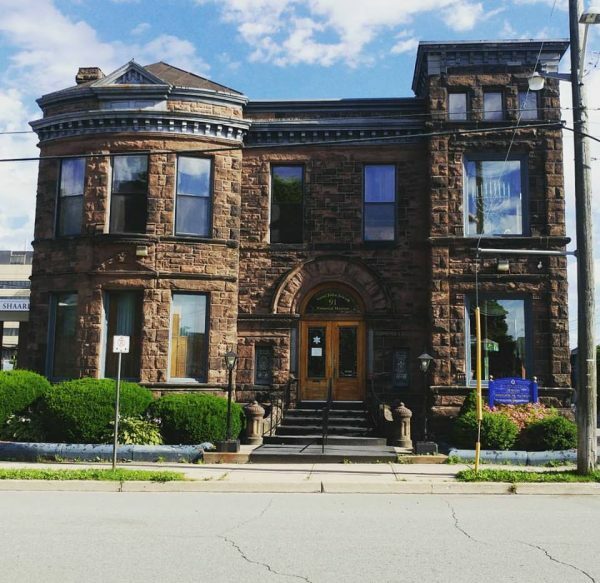 The Saint John Jewish Historical Museum is a Romanesque Revival building and it was originally a private residence. The city’s Uptown also features historic civic buildings, including these two Second Empire Style buildings from the 19th century. Saint John is a city that faces challenges, from poverty to local government and administration. However, it is a city that has much to offer, from beautiful natural sights, to a vibrant civic and cultural life, to a rich architectural heritage. This article is not meant to be an unconditional civic booster that ignores harsh realities the city is facing, but it is meant to highlight what this city offers. It is a smaller and often overlooked city that deserves more attention. The city’s architectural heritage offers many interesting stories and sights for a casual stroll. 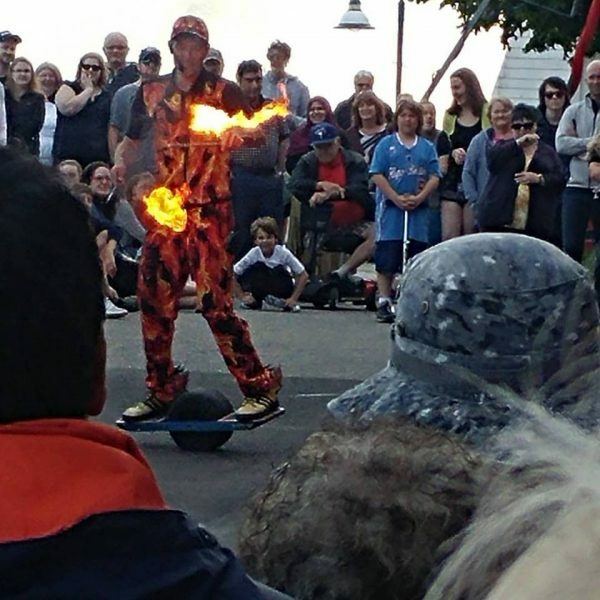 Saint John also offers street entertainment and beautiful natural vistas in close proximity. It is a city that is both industrial and post-industrial, with visible smokestacks alongside a growing creative economy. It is a city worth exploring, for residents and tourists, and it is a city that warrants more attention and appreciation. 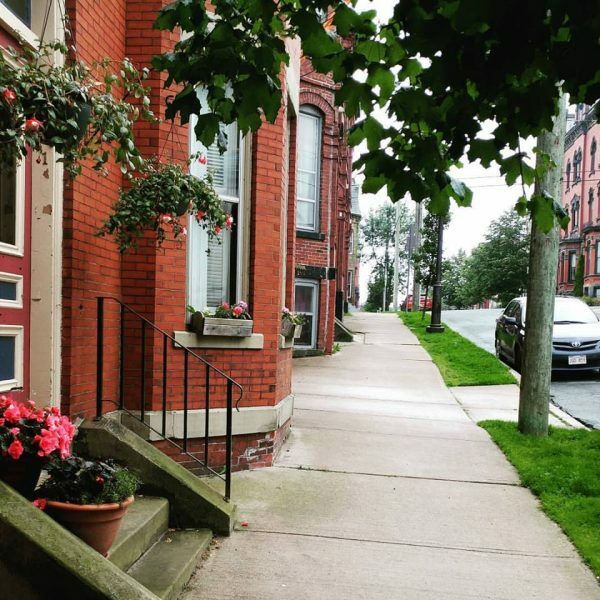 I grew up in the south end of Saint John and began to appreciate its architectural beauty and heritage after I grew up and moved away. I’d love to move back if the property tax structure wasn’t so punitive. I thoroughly enjoyed your article and photographs of my old “stomping grounds”. Thanks. Thank you for the kind words Ceci, glad you enjoyed the article. I like it. Who is this Hassan Arif? Sounds like he has a PhD in Urban Sociology or something. I always felt as if our city was amazing. Always a mystery to me why more people didn’t see that side of it. Thank you for your kind words, glad I could do my part to spread the word. An interesting read with great pictures. I always enjoyed going walkabout whenever I was in the port of Saint John. Thank you Skip, Saint John is a great city to walk around in. 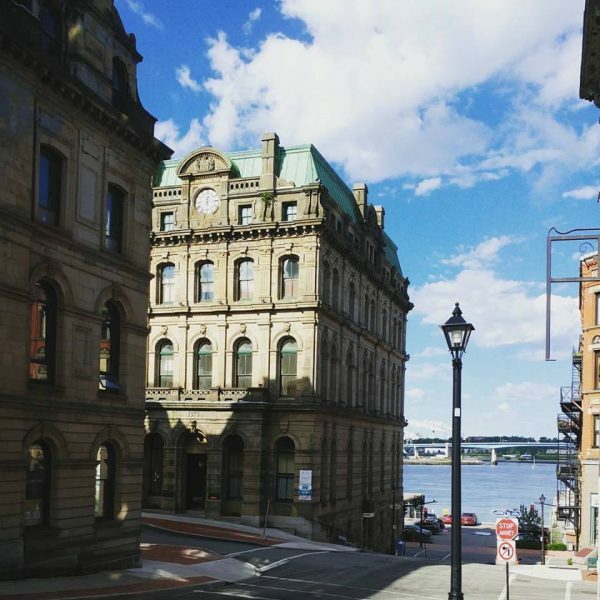 Writing to you from Chipman Hill Suites–we love the article, and your beautiful photos of Saint John. I was wondering if we could post your article in our monthly newsletter, which goes out to our guests/travelling tourists. We think it would make a great addition to the August issue! Looking forward to hearing back. Cheers! 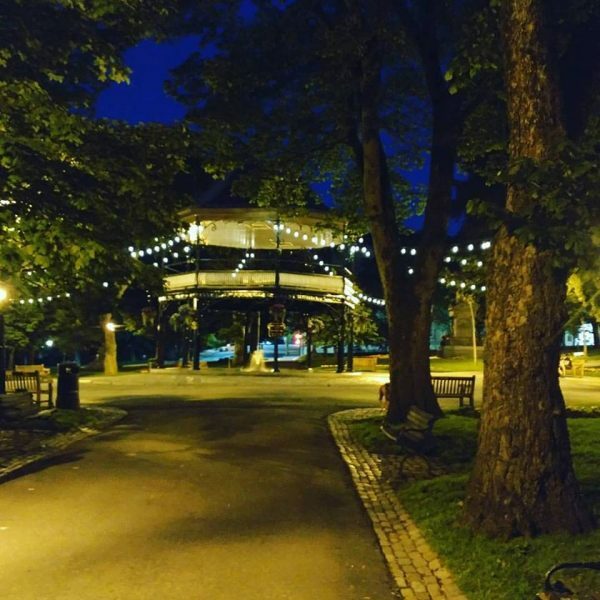 Great piece – I agree that Saint John has so much potential, particularly uptown. Thank you, glad you liked the article. Hassan Arif, excellent article. I have lived just outside of saint john my entire life. I became accustom to the buildings and really never thought anything of them until i started traveling. I remember coming back from a trip to vegas, grand canon , monument valley etc and never saw a brick house lol. Now i take the time and have a look at each building as much as i can , some of the detail is just amazing. Imagine paying someone that has the skill to do somehting like that now a days . Thanks for the great article and nice picture showcase of our beautiful historic city. 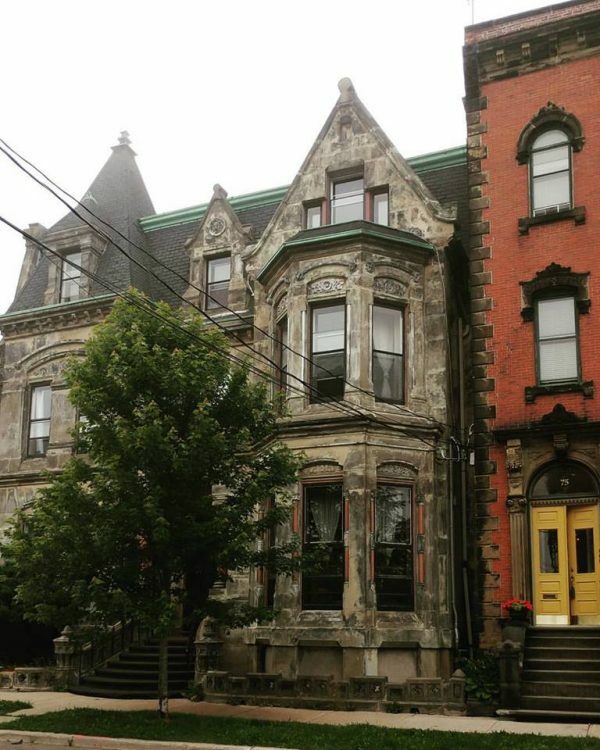 Great pictures – I grew up just outside of Saint John and we were often in the City. Beautiful pictures of some of the historic buildings. Hope the City “officials” realize they need to help preserve these buildings as so many in other areas get demolished to make way for modern boxes with no character in the name of progress. Thanks Hassan Arif. I moved here in 2001 and I have never looked back. Originally from Montreal, I appreciate beautiful architecture which SJ has in spades. The restaurant scene is excellent for such a small city and the scenery is superb. I love the grittiness of the industry juxtaposed with the scenic natural beauty all around. But most of all, SJ has the nicest and friendliest people of any place I have lived or visited. It truly is a gem. Thank you for this great and balanced article.